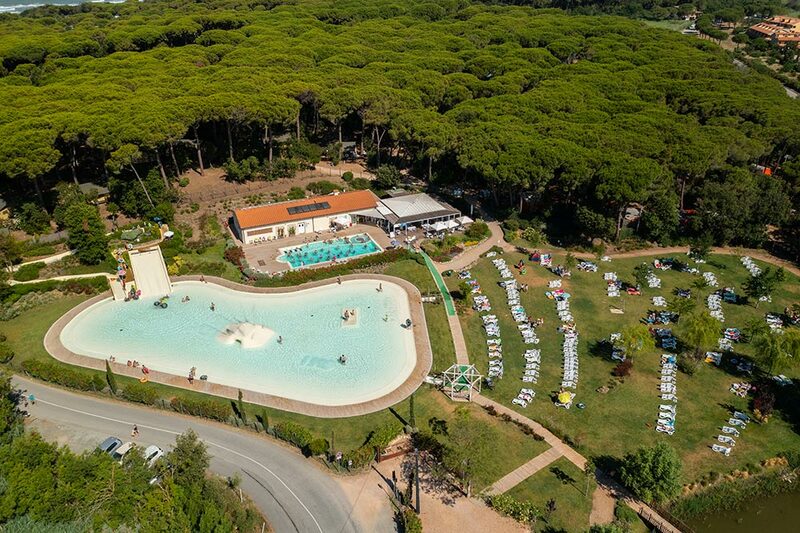 A dive into the water and lots of fun for kids and adults: we await you at our camping in Tuscany to show you Etruria's large water park! 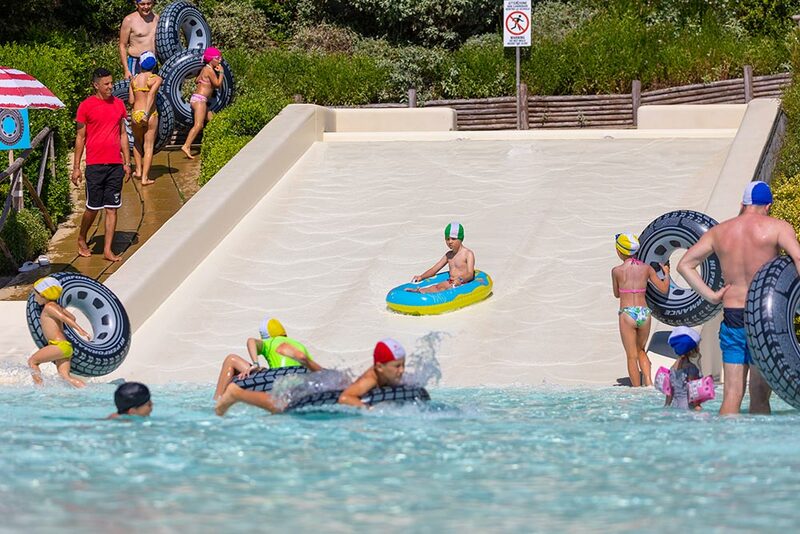 A place designed for all age groups with a 1.000 m2 children’s beach entry pool with 40-centimeter-tall water. Inside are water games, mini slides, a long slide for those loving the thrills, fountains and waterfall-like jets. Not to mention an ultra-soft bottom making people feel like they are on the seashore. Entertainment, games as well as tons of relax: to our adult guests, we built a 16 x 8 meter pool equipped with a wellness cycle including a Kneipp program, hydromassage sessions and water heated at constant temperatures. YOU NEED MORE INFORMATION, AN ESTIMATE, OR YOU WOULD JUST LIKE TO GET TO KNOW US BETTER? SEND US AN E-MAIL NOW! Explore the wonders of the hinterland. Visit the villages of the wine and food tours. "A great place to relax on the beach"
We booked one of the lodges for some rest time whilst interrailing. We had no transport but this was not a problem because it was very straight forward catching a bus from the railway station, which dropped us and picked us up at the camp site entrance. Town is a 20 minute walk along the cycle/pathway, which is set back from the road so very safe. We also walked to town along the beach, which was easy. The site was very busy but was still very restful, helped by an afternoon and night 'quiet time', which everybody respected. The shop had basics and the restaurant some lovely pizza and sea food. The beach was a couple of minutes from our lodge so all really easy. Very friendly helpful staff on site. We would love to go back. JOIN NOW AND DISCOVER OUR OFFERS!